Busy weekend ahead with the Peligrosa fam…if you’re in Austin or Chicago, we got you! 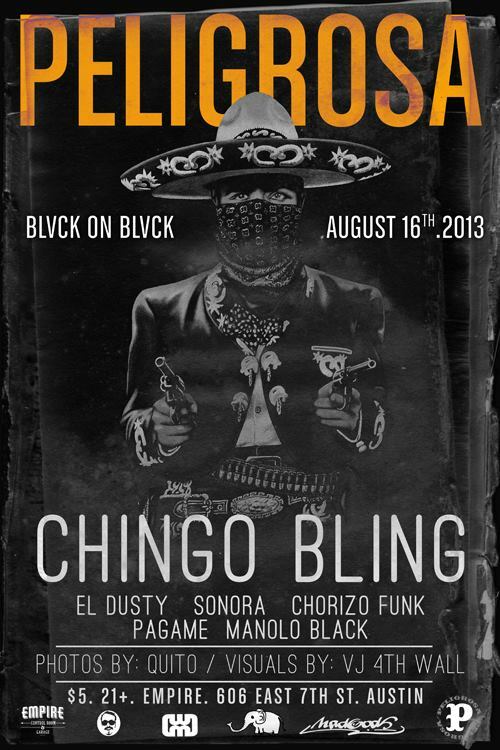 First up is the monthly installment of Peligrosa at Empire (3rd Fridays). This month we have a special edition w/the homie Chingo Bling AKA Mr. Cancun Shawty coming into town to make an appearance. In addition, Chingo has been nominated for Univision’s Premios Texas on August 15! We’re rooting for the Tamale Kingpin, and if he wins we’ll consider this the afterparty! $5 cover || FB info. This Saturday, DJ’s El Dusty, Sonora, and myself are bringing the Peligrosa sound to the fine city of Chicago courtesy of the Unísono Festival in Pilsen. 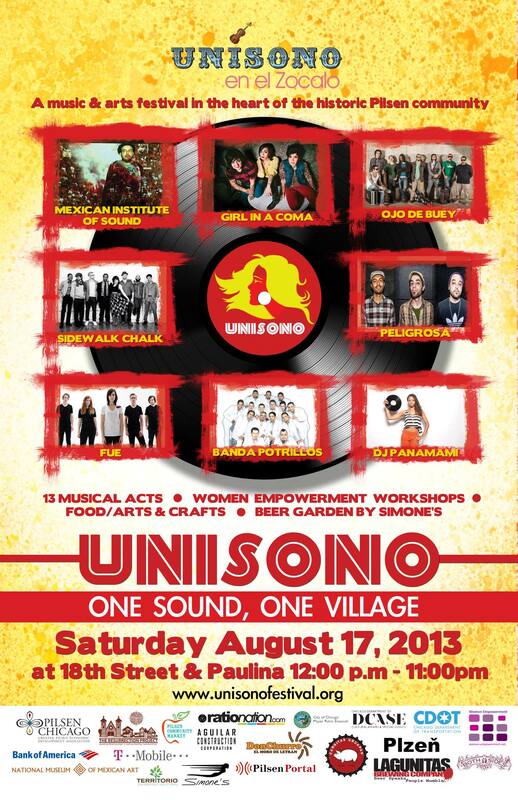 The festival is Saturday August 17th and features two stages of musical acts (MIS, Girl in a Coma, etc.) and a wide variety of Women Empowerment Panels throughout the day, full info available here. In addition to the festival, the after party is guaranteed to be one for the books courtesy of FEX (Foreign Exchange) and RationNation.com. 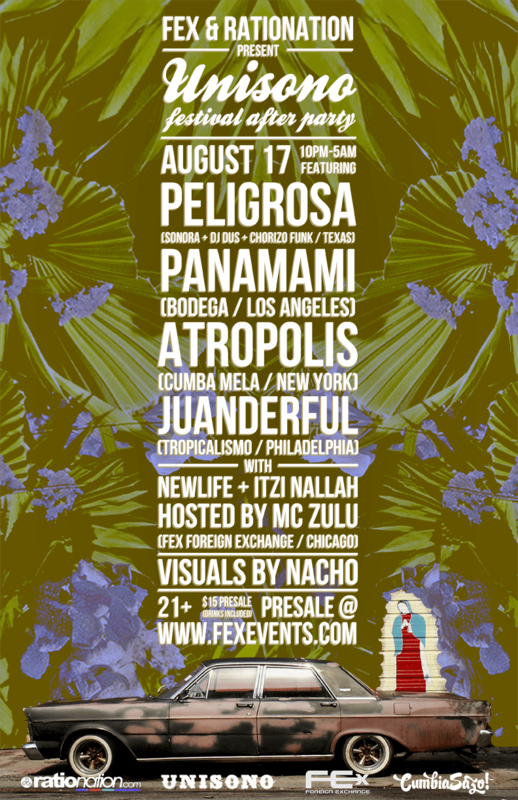 El Dusty, Sonora, and Chorizo Funk will join DJ Panamami (Bodega, LA), Atropolis (Cumbia Mela, NYC), Juanderful (Tropicalismo, PHILLY), DJ Newlife (FEX, Chicago), and Itzi Nallah (FEX, Chicago).Tix info HERE!